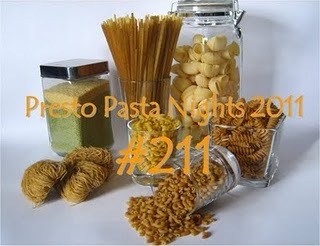 I'm hosting Presto Pasta Nights this week. PPN is a blog event created by Ruth over at Once Upon a Feast. Email your entry to theresa (AT) foodhuntersguide (DOT) com & ruth (AT) 4everykitchen (DOT) com by Thursday, April 28th. Looking forward to lots of delicious pasta recipes. I posted an entry today - I'll email you the info tomorrow.